BAPCPA: How Does Bankruptcy Law Affect Me? On October 17, 2005, under the administration of President George W. Bush, the BAPCPA Bankruptcy Law went into effect, revising the previous United States Bankruptcy Code. In an effort to prevent bankruptcy abuse, this act’s main function intended to make it more difficult to qualify for Chapter 7 bankruptcy, which often doesn’t require repayment of debts, by increasing examination into an individual filer’s ability to repay their debts. To determine an individual’s ability to repay their debts and thus qualify for file for Chapter 7, the BAPCPA created what is called a “means test”. With use of the means test, the BAPCPA now has the option to completely dismiss a bankruptcy case or convert it to a Chapter 11 or 13 if it has determined “granting of relief would be an abuse of the provisions of this chapter” (U.S.Code § 707(b)). This act has also made credit counseling and debtor education a requirement within 180 days of filing for Chapter 7 or Chapter 13. This can be done online by a certified counselor or by a counseling agency in an individual or group setting. There are was also an extension made for the time period a Chapter 7 filer must wait before they are eligible to file again. Previously, the waiting period was 6 years between filings, but now has been increased to 8 years. These are just some of the bigger changes that were made through BAPCPA. 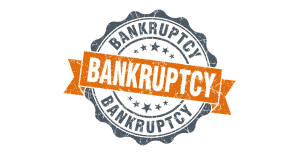 If you are considering filing for bankruptcy give Kalicki Collier a call and we can answer all of your questions about the options that are available to you. Click here to contact us or call us at, 775.852.2600.